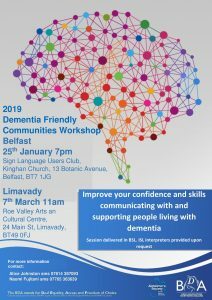 BDA NI: The BDA Advocacy team would like to invite you to our confirmed Dementia Friendly workshops. The first session will be held this Friday, the 25th January, in Belfast. The second session will be held on the 7th March in Limavady. There will be more confirmed dates in other regions so please watch this space for more details. 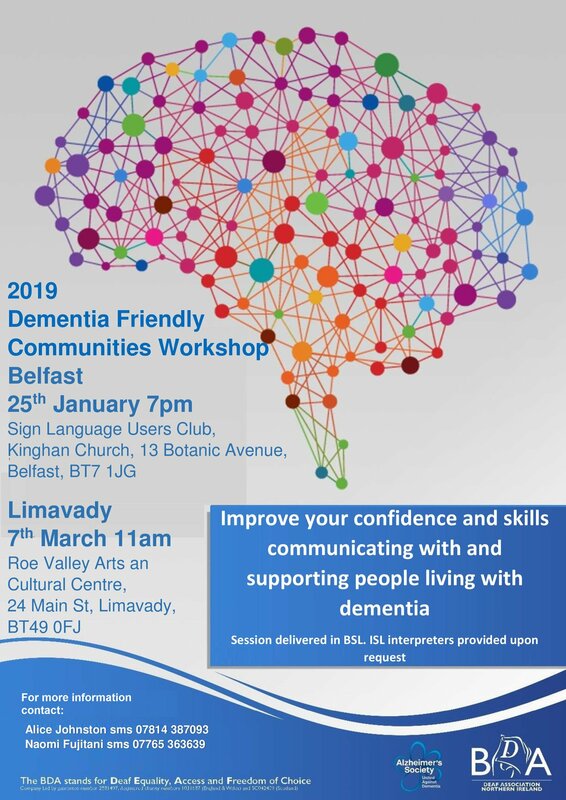 Do take time to look at our poster, and if you are interested in attending the event in Belfast or Limavady, please contact us to confirm your place.